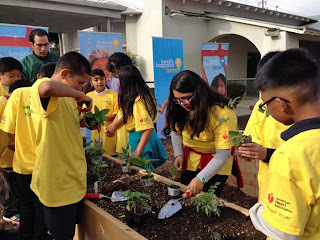 Kids at Long Beach elementary schools are out in their school gardens this spring planting loads of garden vegetables as part of the American Heart Association (AHA) Teaching Gardens program. Students in grades kindergarten through fifth grades are responsible for building, growing and maintaining their school gardens. They plant a variety of seedlings. 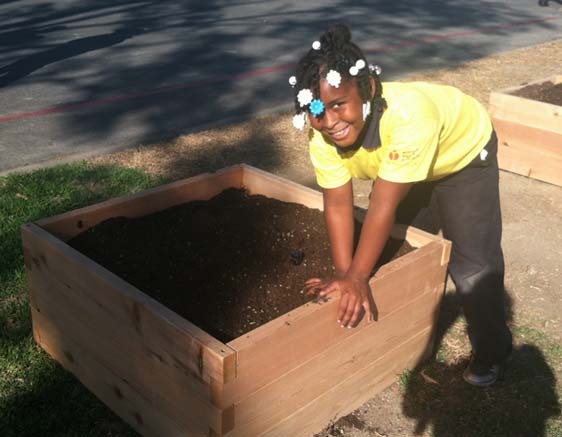 This spring, the kids planted arugula, beans, carrots, corn, cucumbers, eggplants, kale, leeks, lettuces, melons, onions, peppers, radishes, spinach, strawberries, squash, tomatoes and various herbs. The gardens serve as real life laboratories where students learn how to plant seeds, nurture the growing plants, harvest the food and ultimately understand the value of good eating habits--which leads to a healthy heart! 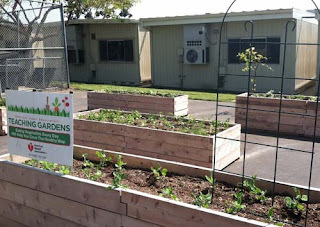 Once the vegetables and fruits are harvested, schools use produce in a variety of ways including food tastings, curriculum lessons and chef demonstrations. 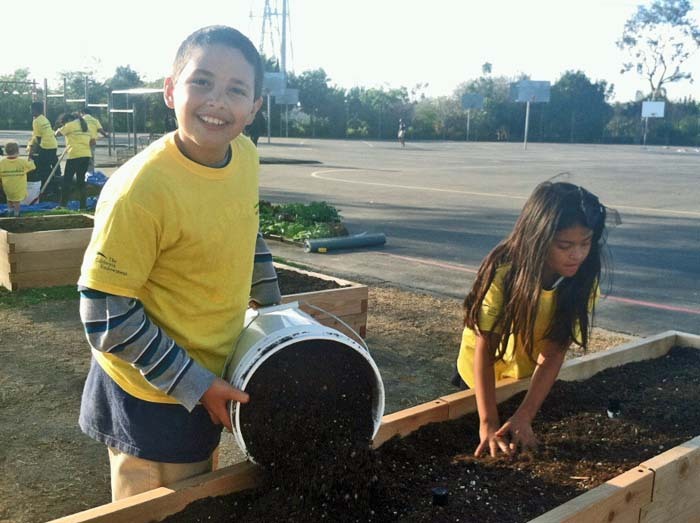 There are 40 AHA Teaching Gardens in California with 30 gardens in the Greater Los Angeles area. Agromin is proud to be part of this wonderful program.